Going to a thrift store is sort of like digging for treasure in that you never know what you will uncover. In today’s fast paced world where everybody wants something new now, many people are simply dumping off lots of really cool fashions at their local thrift shops. While fast pace may be for them, perhaps it is not so much for you and for this reason you may want to consider shopping a thrift stores. • Savings: They are called thrift stores for a reason. Because you are buying someone’s ‘leftovers’ you will be paying rock bottom prices. This is a great opportunity to pick up some designer fashions that you would normally pass over at the mall and best of all you can get these designer fashions for pennies on the dollar. To the thrift store it is worth it because all of the items you see in the thrift store are items that have been donated and so the cost basis for the thrift store is zero. Great for them and great for you. • Go vintage: If you look at fashion today a lot of what was popular a few years ago is coming back into style now. Fashion tends to do that and a thrift store is a great place to go to find these ‘vintage’ items that will complete your ensemble. 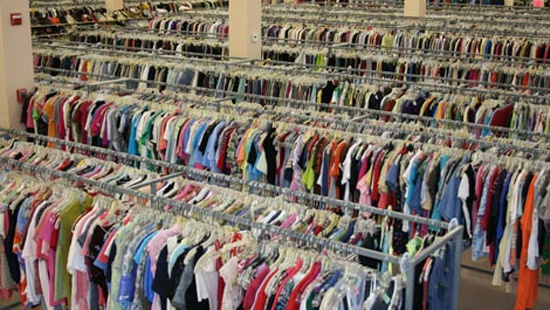 Unlike a vintage clothing shop that knows what they have, thrift stores tend to mark articles of clothing the same price according to what type of garment it is. So if you are looking at t-shirts, a thrift store will have all of them marked at say $2.00 each, they simply won’t care what style or brand it is. But a vintage store owner knows what they are looking at and if they know that a certain shirt is popular you can bet the price will reflect that. • Discontinued items: How many times have you found a favorite brand of clothing and bought a couple of the items only to find out a few months later that the style or brand has been discontinued? With the advent of the thrift store nothing is ever really discontinued, you just have to have tenacity and keep looking and eventually you will find a thrift store that has exactly what you are looking for. • Hidden gems: You hear so many cool stories about people just like you going into a thrift store not expecting much and coming out with a handful of really nice and really expensive designer clothes or a designer purse that they paid next to nothing for. A trip to a thrift store is a true modern day treasure hunt. Thrift stores offer so much more than just monetary savings these days and a trip to your local thrift store will undoubtedly be a fun one and have you coming home with something that is new to you and an added smile to your face.